Imagine a trip to Miami – fun in the sun, sand, and on the water; palm trees swaying in the breeze, tropical fruity drinks, tanning lotion, and dancing until dawn. But there’s more to Miami than beaches and bars. It’s a city full of history, culture, and architecture. 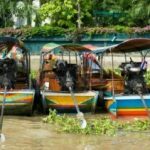 These little gems – these not so typical tourist attractions – really tell the story of the city. Each time I go to Miami, I find some new cultural or historical treasure. It’s a city that reveals itself layer by layer, era by era. Here are three I discovered on my last trip to Miami – now you, too, can discover Miami from ancient to modern. The Ancient Spanish Monastery is a 12th century monastery built in 1133 in the region of Segovia, Spain. It was originally named The Monastery of Our Lady Queen of the Angels. In 1174 it was renamed for the Cistercian monk, Bernard of Clairveaux. Social unrest and the privatization of the church in the 1800s, caused the monastery to be sold and converted to a granary and stables. 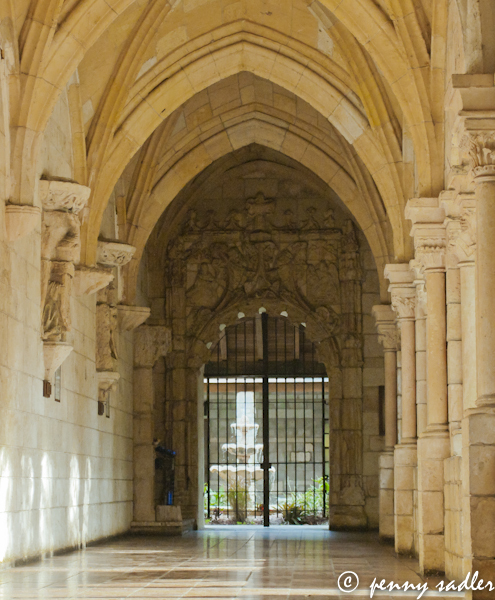 And in 1925, the cloisters and the outer buildings were purchased by American publisher William Randolph Hearst, and shipped to the U.S.
Hearst never actually reconstructed the cloisters, due to financial problems. Upon his death, the monastery was later purchased by investors William Edgemon and Raymond Moss, and reconstructed as a tourist attraction in Miami. Good investment. The cool stone arches and gothic architecture are so unexpected in such a modern city. They ooze tranquility and serenity. The monastery is a wonderful escape from the often frenetic energy of the city. Today the monastery is an active Episcopal church. Services are held in English at 8:15 am, 10:00 am, and in Spanish at 12:15 pm, but you can visit the monastery any time. Admission is $8.00 for adults and $4.00 for children and service members. Please see the website or call for more details on the hours. Vizcaya was built on Biscayne Bay by American industrialist John Deering, one of the founders of International Harvester. The name Vizcaya was adapted from the name of a Spanish merchant, Viscino, who supposedly lent his name to Biscayne Bay. It seems John Deering was a bit of a romantic and wanted his new winter home to have an air of mystery and adventure about it. He thought using this historic merchant’s name was romantic…but upon discovering that he’d got it wrong, decided to stick with Vizcaya. I agree with him – it sounds better, in any case. 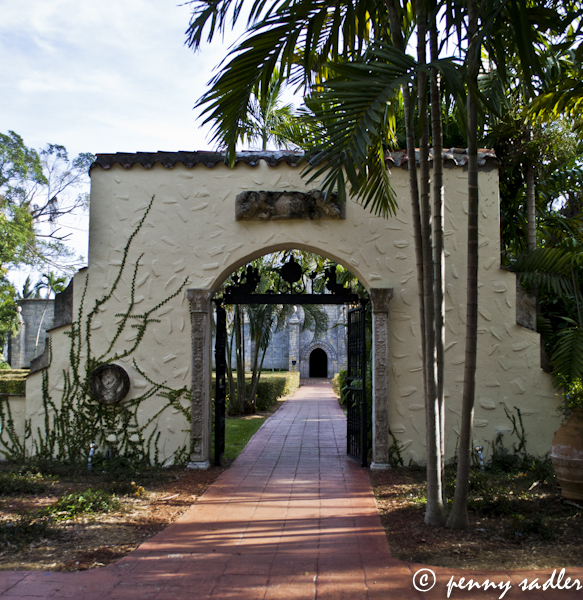 Vizcaya does have a romantic feel to it, right on Biscayne Bay and surrounded by tropical gardens. As you walk through, discover all sorts of inviting little nooks and crannies, particularly outside, that beckon you to sit and stay a while. The view of the bay, reminiscent of Venice, is especially captivating. I like to imagine that if Vizcaya were a private residence today, lavish yachts that would be anchored in view of the house and gondolas would transport visitors to shore. 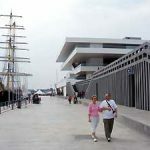 Happily, it’s a museum and open for all to enjoy. The museum features the Main House with 34 decorated rooms showcasing over 2,500 art objects and furnishings; ten acres of European-inspired formal gardens; a significant orchid collection totaling 2,000 specimens; and 25 acres of endangered primary growth forests. 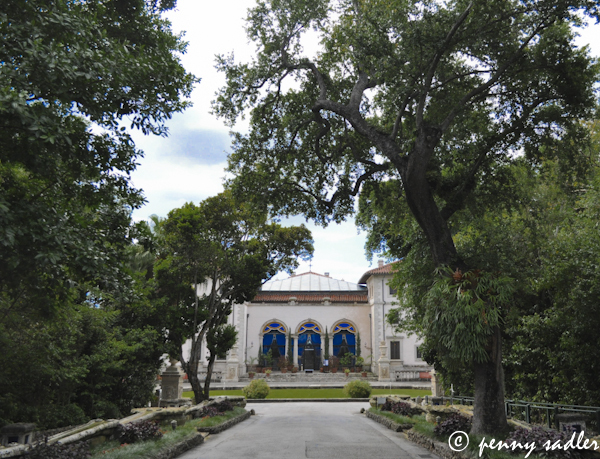 Vizcaya is accredited by the American Association of Museums and was designated a National Historic Landmark in 1995 for its significant architecture, landscapes, interiors, and collections. Despite a name with (somewhat) Spanish origins, Vizcaya contains one of the most important collections of Italian art and furniture of any museum in the world, much of it dating from the eighteenth century. 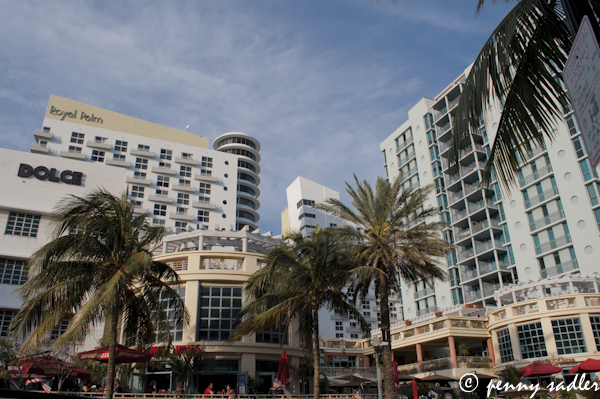 South Beach is known for its colorful nightlife, great restaurants, and even better people watching. 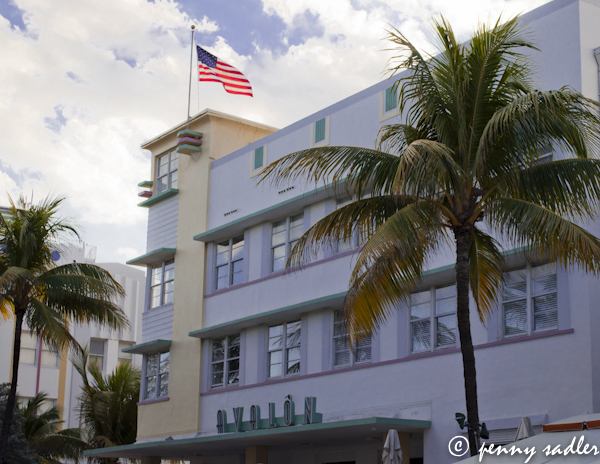 What many people don’t know is that Miami is home to the largest collection of art deco structures in the world. The colors and designs of the buildings seem created specifically for Miami’s tropical casual climate, with port windows, zig zags, parallel lines, and neon lights, all accented by swaying palm trees and umbrellas. 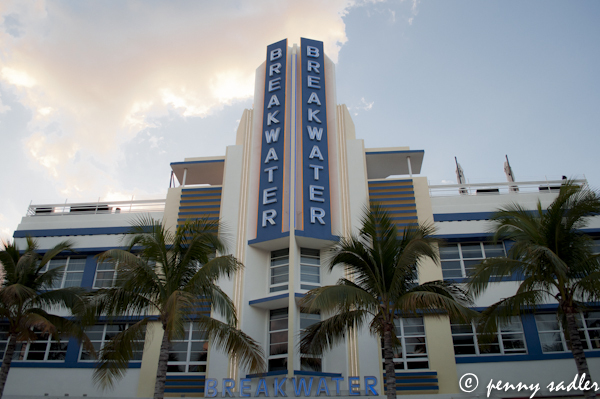 The best way to see art deco architecture in Miami is on foot. 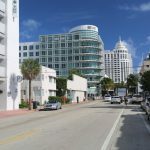 If you don’t do a tour, start on Ocean Drive around 5th St. and walk north. The beach will be on your right. 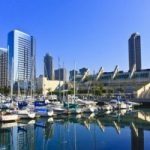 Don’t miss Collins St. which parallels Ocean Dr. and Washington Avenue. Alternatively, you can take an audio tour, available for purchase at the art deco headquarters located on the beach side of Ocean Drive. Solid info and some very nice shots, Penny. I have been to Florida a few times, but never had a chance to enjoy some Miami vice. I mean, art-deco architecture. Thanks! 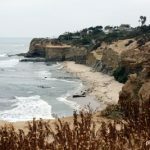 It’s a nuance, but Vizcaya is, technically, a Basque name, so you are right about its’ “somewhat” Spanish origins…Overall, I fancied your post, as I know all three areas/locations, you blogged about quite well. I am happy you had a good time in my hometown…it has changed dramatically, since the 80s and early 90s. (Golden Era) Next time you are in Miami, contact me, and I can give you some further tips, general information or if I can be of any other assistance, please contact me. Hi Carlos, thanks for you comments and the offer to be “tour guide.” That would be fun! I was just recently in Miami on my way down to South America. Good times and good weather!